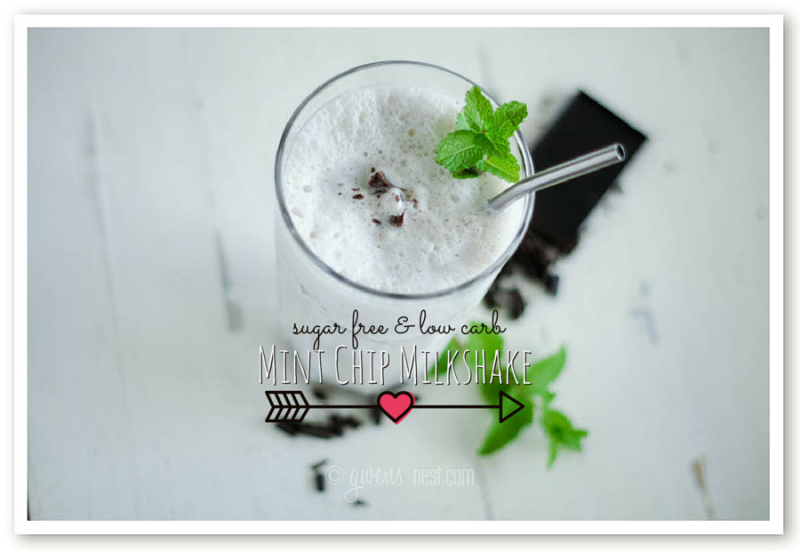 This THM peppermint chocolate chip milkshake recipe is what I’m thankful for today. Between this AND the frozen eggnog recipe from last week. These two will keep me out of trouble in the drive through lane this holiday season when all of my favorite seasonal milkshake flavors are out. The base recipe is really similar to what I shared last week, with just a couple of tweaks. I like to use 85% dark chocolate from Aldis *or* Lindt brand. Since I was getting all fancy for a photo I used my veggie peeler to shave off a few twirls of chocolate to garnish the top. (This works best if you warm the chocolate just a bit). It couldn’t be easier to make: just dump everything in your blender *except* for the chocolate, and blend until creamy, then break your chocolate into smaller pieces and blend for a few pulses more to get it just the right size to go up the straw. It’s heart meltingly good, AND gives you a good protein boost. What more do you need? SO quick and yummy…this is my perfect companion for an afternoon of running errands! The Chick-fil-A Peppermint Chocolate Chip Milkshake was my downfall in past years, but this year, I have an ally in staying in my slim jeans through the holiday season. This healthy version has only 2 grams of sugar, and packs a nice protein punch. And WOW, is it good! (optional) To make garnish curls, warm chocolate to warmish room temp, and use a veggie peeler to make curls. Chop chocolate bar into smallish chunks and set aside. Add remaining ingredients to your blender, and blend until well combined and smooth. Add chopped chocolate and blend or pulse to chop them up to straw-sized chunks. Pour into a tall glass, and top with whipped cream & chocolate curls if you're feeling fancy. Want to add a superfood boost? Add a serving of mint flavored chlorophyll instead of your mint extract, and enjoy a nice minty green smoothie. Using a full ¼ cup of heavy cream creates a *very* heavy/rich S milkshake that I use only on special occasions and as a meal replacement. It's similar calorie wise to the Muffin in a Mug. If you want to lighten it up, half the shake with someone else, scale the cream back and/or sub half & half instead. Gwen- I thought it couldn’t get any better after your Egg Nog Frappa, which I have been making every day since you posted. This one looks amazing, too. Mint chocolate chip is my very favorite ice cream, and this will replace that nicely! Just a quick question…is this a FP,S,E?? Just made this and did it with the chlorophyll…. SOOOO YUMMY! 🙂 Super! This is the best drink I’ve had on THM!!! OH MY WORD!!!!!!! You could throw in a handful of spinach (it won’t change the flavor AT ALL, I promise) and it will give it the green color that most mint chocolate chip ice cream has. I have dairy allergies; is there a substitute for the cottage cheese? Carina, I’m sorry, but I don’t have a lot of experience with dairy subs. Does anyone else have any ideas for Carina? I can’t have dairy either. I made this without the cottage cheese and used canned coconut milk instead of cream. I subbed brown rice protein powder (plan approved). I also used Skinny Chocolate (which I made with a few drops of peppermint oil) instead of the chocolate bar. I hope it’s still an S! And I’m not sure about the tofu since we are supposed to avoid soy. We are supposed to avoid soy though. I just made it without the cottage cheese, and hope with my subs (mentioned above) it’s still an S! This looks super yummy! I love mint chocolate things during Christmas. My daughter’s favorite treat is a mint Oreo blizzard. I might have to see if she likes this. She’s only 8, but has a VERY sweet tooth. This looks AMAZING!!! Thank you! I had a question about the cream or 1/2 and 1/2. With 1/4 cup of it, is this a treat that one should actually save for a “treat”? Like once or twice a week? Or is this something that we could enjoy everyday? Thank you again, I can’t wait to make this! Heather I subbed the cream for 1 TBS of coconut or MTC oil and it was still amazing! It brings down the calories and adds a super-food kick. I just updated the recipe and post to answer this…thank you for asking! I was making these a couple of times a month with the cream, and would use them for a heavy S meal replacement. If you want to enjoy them more frequently, then you can split the recipe with someone else, and/or scale the cream back to just a couple T. or sub a couple T of half & half. Yes, Gwen! Sooo good. We’re enjoying it right this minute and my husband had me email the recipe to his mother. Ha ha. I think this is going to help me get through “shamrock shake” season! This was delicious! I used fresh mint leaves & a scoop of vanilla protein powder to make it a meal. Oh my word…so good! Thank you! Woot! Fresh mint leaves? Sounds DIVINE! That is a great Idea. Just noticed my mint was growing again this spring!! yay! Hey, tastes great! My only problem is the consistency is not thick like a milkshake, is it supposed to be? It’s probably because I have a cheap/simple blender that has difficulty with ice, but I just wondered… BTW, don’t add too much peppermint, it has a kick! It should be nice and thick. Try adding your ice a little at a time. Some blenders actually heat the contents, which can sort of mess up the nice thick texture as well. I FINALLY got into the mood for a Mint Choc Shake….and I had to do a bit of a retrofit ’cause all I had was cocoa powder. No chocolate bars. It worked. OH MY, did it work! The Manlings all tried to steal my shake. Rotten children! Sounds delicious! I’ve been playing with different flavors as well! Delicious! I’m sitting here right now enjoying every scrumptious drop. I used protein powder, since this is a post-workout treat. I also used some peppermint skinny chocolate I made yesterday (not a dark chocolate fan). I’m thinking I’ll make some tummy tucking ice cream using it, too. I have a serious a peppermint bark craving right now, and can’t get enough of it. This recipe will keep me from buying the not-so-trim and healthy stuff at the store! Thank you so much for posting it! Yay! GO Trim Healthy Mama! OH MY GOODNESS – AMAZING!!!!! It really does taste just like a shake! I read the recipe wrong and accidentally added 1/2 of a bar instead of 1/2 of an ounce! That puts my net carbs from chocolate at 10 – a yummy oops! I will scale back on that next time. Thank you, thank you, thank you! Question – just made this and jotted down the Fat/Carb totals as I went. According to my totals, this has 11g fat and 16 carbs (8 from 2 T of Truvia). Is this still an S? More specifically – Chocolate 4.2g fat, 4 carbs; Cottage Cheese, 1.5g fat, 4 carbs; Unsweetened Almond Milk 2.5g fat, <1 carb; 1/2 and 1/2 3g fat, 1 carb; TRUVIA 0 fat, 8 carbs. How is this an S with 16 carbs? I don’t count carbs from sugar alcohols. Ha! Yep…the cottage cheese is salty enough usually. Glad you’re enjoying it! Having this for my first time. This time I added wpp & subbed 1T MCT oil for the heavy cream. Yay! I had one today! Yay! So glad you’re enjoying it. Spinach was never tastier than when blended with spinach and cottage cheese. WHO KNEW! Haha! Congrats on your new Blendtec! Home today for MLK Day. Absolutely loved this shake! I used fat free half and half. Can’t believe how wonderful it was. All gone! 🙂 Hi Andrea!!! Glad you are loving it! I just made this (halved it) and subbed the peppermint for a tsp of peanut butter and added a piece of salted caramel skinny chocolate. This is seriously the best shake ever! drinking this right now… this is absolutely delicious! Cannot believe it has cottage cheese in it. Glad you’re enjoying it! 🙂 My teenager LOVES these and had NO idea that there was cottage cheese in them either. Only 2 grams of sugar? Are you sure? Because my Great Value 1% cottage cheese says 4 grams of sugar per 1/2 cup. Nutrition counts vary from brand to brand. I really love the Daisy brand products, because they’re made without fillers and with hormone free milk (last I checked via their website). Some fillers like maltodexterin and starches will bump the carb/sugar count up. This is what I call good recipe. Can’t wait ti make, looks awesome!! I have been on a not lucky streak with THM desserts. But I risked it and tried this shake, I have had it on Pinterest for quite awhile. Oh my it was delicious! My husband, myself and our 6 and 2 year old kids were going crazy for this! Thanks so much! You have saved me more than once with your awesome recipes. This recipe is delicious! I have made this several times. Today I used this recipe to make a cake batter shake. It is cold today so I didn’t add ice. I have used this recipe to make a chocolate and peanut butter shake, a peanut butter shake, and a chocolate shake. Love this recipe as well as all your recipes Gwen. Thank-you for your hard work! 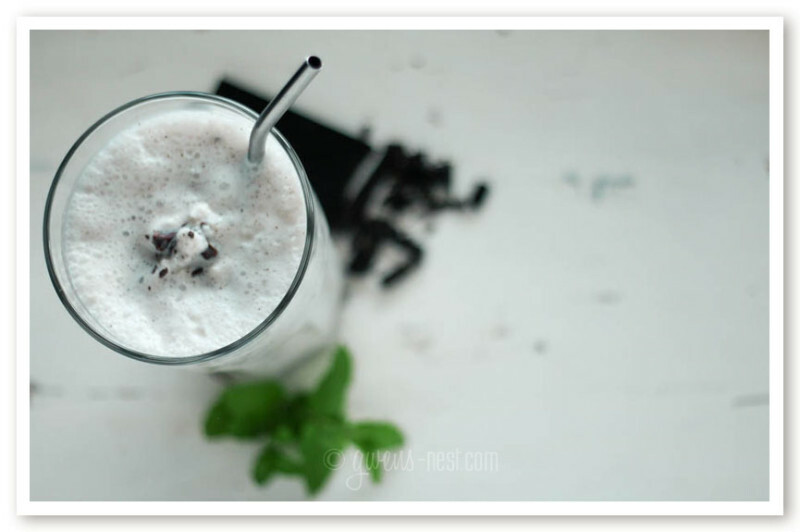 Sorry but the recipe for the Thin Mint Chocolate Chip shake does not show up on the page. I’m seeing it on my PC and my phone…what device are you using? What kind of peppermint extract do you use? I only used 1/8 tsp (when I opened the bottle that’s all I found left) and all we could taste was an overpowering taste of mint. Wondering if what I have is too concentrated….looking forward to trying it again another time, because the texture was very creamy and I can imagine the flavor would be good without so much mint. 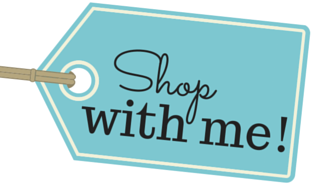 I use NOW brand peppermint essential oil, and less than a drop will give you a super fresh peppermint flavor. Extracts may vary in strength…try a drop next time? An un-named family member once used 1/8 tsp of essential oil in the shake, and we ended up having to freeze it in ice cube trays and using just part of a cube to flavor a whole batch. 🙂 Think of them as starter cubes. Hi Gwen. This shake is amazing!! I am wondering how many calories are in the shake. My doctor has asked me to track calories. Thank you so much for sharing this delicious treat! When the children have ice cream, this is what I make myself. 🙂 I use the mint chlorophyll and love the taste So refreshing and sweet. When I have been out of chocolate, I have used a tablespoon of cocoa powder – the color is a bit funky, but the taste is all there, and hey, I’ll choose taste over looks if it involves chocolatey goodness. 🙂 Love your blog! Thank you so much, Sarah! Love your ideas of using chlorophyll and cocoa! So glad! 🙂 It’s a favorite here too! If I leave the mint flavoring/oil out of the recipe, would it taste like a chocolate chip milk shake? Sounds wonderful, didn’t think about the extra vanilla! Thank you! 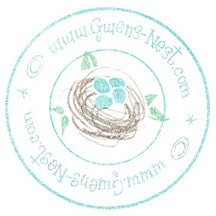 Hi Gwen – Boy am I glad I found your page! My aunt and I are trying to reach our weight loss goals by sticking to a low-carb sugar-free diet. We’ve succeeded in the past and are determined to do it again. Currently our go-to sweet treat is a Starbucks Mocha Frappucino with sugar-free mocha and Breve style (using half and half). We both love ordering peppermint mochas when they are in season. 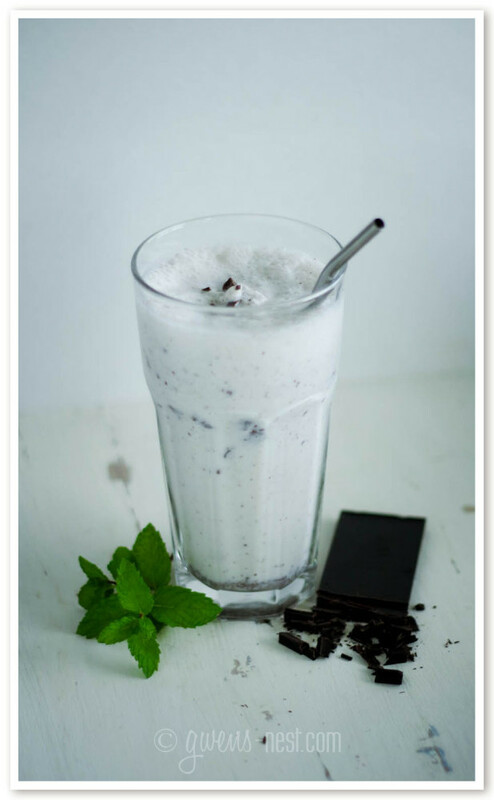 However, we are quite aware of the artificial sweetener that is in the sugar-free mocha syrup and that is not good for you 🙁 Anyway, this mint chocolate shake will be our new treat from now on. It’s so much better for you, lower in calories I’m sure, and CHEAPER!! Thanks gwen for sharing your awesome recipes! You’re SO welcome, Natasha! I’m cheering you on! I tried this recipe…it smelled yummy, looked yummy, but when I tasted it I got a yucky aftertaste. I used THM sweet blend & peppermint extract. It was my first time using gluccomannan, almond milk and 1/2 & 1/2. What might have left that aftertaste? Maybe I can exclude it next time. Hmmm…I’d probably do a little testing to pinpoint what’s giving you the aftertaste. It could possibly be just a little too much of the sweetener, or it could be your peppermint extract? Two things; first…..delicious! Second: has anyone tried melting the chocolate first and then adding to the rest of the ingredients? I kind of like the chip chunks, but you *can* add a tablespoon of cocoa if you want more chocolate flair to your milkshake! You’ll probably want to up the sweetener if you do add cocoa. HTH! This is my hands down favorite on plan recipe. I have made this at least twice a week since I started THM and it has won over several skeptical family members! I am a HUGE Mint Chocolate Chip ice cream fan and this absolutely takes care of that craving for me. YUM. Thank you, Gwen! This was delish! I didn’t have any chocolate chops or chocolate bars on hand so I added 1 TBSP of cocoa powder for my chocolate flavor and used 3 tsp of truvia for sweetener and it was so yummy! does anyone know the protein content with using cream? I am pregnant and I need to track my protein intake. Cream doesn’t contain any protein. But you can add carton egg whites (they’re pre-pasteurized) if you want to boost the protein content! Love it! I use essential oil and think it tastes better than extract. I add a tablespoon of collagen to it too. It’s always been tasty except the time I accidentally added my vitamin C powder instead of collagen. That was a huge oops!! 🙂 thank you for the great recipe. I was very skeptical but decided to try this. It really is very good! 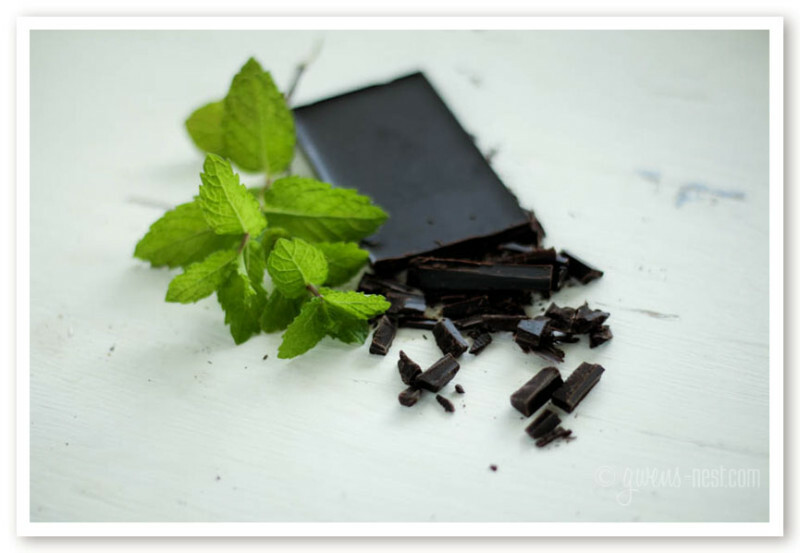 On the dark chocolate bar–no sugar right? Like baking chocolate? I have the sweet and gentle sweet blends. How much of either should I use if I make this? Thanks. I love mint chocolate chip and this sounds perfect. Have you tried adding spinach to this? I am wondering if it would change the flavor or texture! It’ll turn it green, for sure, but that goes right along with the mint flavor!! Hehe! Looks like an amazing shake except I have a dairy problem. What can I use to substitute the cottage cheese and the cream. I was looking for a different smoothie than normal and decided to try this one. Very tasty and I had all the ingredients on hand! I used Pyure as the sweetener. Thanks! hi, Gwen. I just wanted to say I had a happy accident with your mint chocolate shake. making icecream! It was delicious!! Im not sure if it stayed in S but it would make a good icrecream for those ice cream craving days. This was yum! My boy said it tastes like Menchies frozen yogurt. I skipped the gum/gluco and used 1/2 an avocado. It was very creamy and good.